NSI Hospice offers a special kind of care that is dedicated to those facing advanced serious illnesses. Our team of experts is dedicated to meeting the needs of those that we serve. Each patient receives individualized care based on their needs and preferences provided by their own interdisciplinary team composed of a physician, registered nurse, certified nursing assistant, licensed social worker, chaplain, and volunteers. Comfort is achieved through the use of a holistic approach to address the physical, medical, emotional, social and spiritual needs of the patient and their support system. The staff of NSI Hospice focuses on enhancing quality of life for your loved one through supportive, compassionate care. Our experienced staff uses the goals and wishes of each patient and their support system to develop a plan of care that targets pain and symptom management. A comprehensive needs assessment allows us to access community resources to ensure the proper services are provided to assist patients and their loved ones in activities of daily living. At NSI Hospice, we place those that we serve as highest priority and offer our services 24 hours a day, 7 days a week. We coordinate care with the patient's current healthcare provider and invite them to be a part of the team to ensure continuity of care. NSI HOSPICE is always looking for caring, kind-hearted VOLUNTEERS! Click here to contact NSI Hospice if interested and a staff member will reach out to you. Our volunteers help us to make life as comfortable as possible for our patients, down to the last second. Your time matters, so make those moments count. NSI Hospice is locally owned by registered nurse, Stacey Frederick who has years of home care experience in both bedside care and daily operations. Her vision is to allow patients to remain in their homes, with loved ones, while receiving necessary medical and supportive care. NSI Hospice employees are experienced in assisting with the special needs of hospice patients and their loved ones. The interdisciplinary team uses the goals of the patient and family as a guide to develop a plan that meets each patient’s needs. Directs and oversees the overall care of the patient, guides the team in discussions about each patient and treatment of pain and other symptoms associated with the hospice diagnosis. Also, coordinates with patient’s attending physician to ensure the highest quality of care and comfort. Assists patient in activities of daily living and personal care, for example, bathing, grooming, oral care and linen care for the bed. The CNA can also assist with exercise or feeding the patient. Provides emotional support to the patient and their loved ones, assists with access to community resources, assistance with legal/financial issues, assists with advanced care planning. Trained compassionate community members offer their time to assist families by providing a needed break from the daily requirements of caregiving. 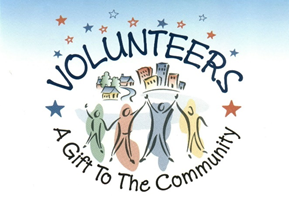 Volunteers can also run errands, provide companionship, assist with office duties, and offer bereavement support. Offered to help loved ones cope with varying emotions during the illness of the patient and the phases that follow. Specially trained to provide support and assistance when requested, our bereavement staff provides a compassionate space for healing to begin. NSI Hospice is contracted with a hospice-only pharmacy dedicated to meet the special medicine requirements of hospice patients. Home delivery is provided as well as medication reviews by hospice trained pharmacists. NSI Hospice, L.L.C. does not discriminate against any person on the basis of race, color, national origin, disability, or age in admission, treatment, or participation in its programs, services and activities, or in employment. For further information about this policy, contact: the director of nursing at 337-347-8826/TDD 800-846-5277.